This article investigates the impact of demographic factors on the adoption of e-government services. The Technology Acceptance Model (TAM) was used as the theoretical framework for the study. SPSS was used to analyze the data. The results indicate that gender was significant in moderating the positive impacts of both perceived usefulness and perceived ease of use on the willingness to use e-government services. Age and education, however, were not significant in moderating the impact of perceived usefulness and perceived ease of use on the adoption of e-government services. Also, age, gender, and education have no direct impact on PU. Education has a direct impact on PEOU but age and gender do not. 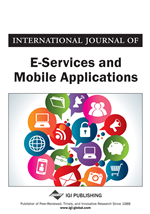 This article further has demonstrated that a perceived usefulness and perceived ease of use of e-government services are positive predictors of the willingness of citizens to use e-government services. The implications of these findings are further discussed. The developed and developing nations around the world are increasingly using the power Information and Communication Technology (ICT) through the adoption and implementation of numerous e-government projects to bring central, local government, and public state institutions up to the standards as pertains in the private sector. The standards of efficiency in service delivery, timely interaction with customers, cost savings for both businesses and clients, improving the internal working of business are some of the expected standards that the adoption and implementation of e-government in Government administration anticipate bringing to the public sector. E-government is considered as the application and ability of Government to leverage the power of Information and Communication Technologies (ICTs) to improve the provision of government information and services to citizens, business, and the general public. E-government could be defined as the strategy of the government to transform the administrative processes to improve the quality of service delivery, encourage and enhance decentralization in public administration, reduce financial cost and improve the efficiencies and effectiveness of government activities (Karunasena, Deng, & Singh, 2011; Pavlichev & Garson, 2004; Prybutok, Zhang, & Ryan, 2008). The functions of e-government can be categorized into four such as E-services, E-management, E-governance, and E-democracy (Perri, 2004). E-services is the online provision of government services, E—management is considered the application of ICT to promote internal efficiency of public bureaucracy, E-governance is also the integrating of services delivery to provide one-stop services to citizens and E-democracy is the use ICT to enhance citizens’ participation in the governance and decision-making process (Perri, 2004).The adoption of e-government enables government and its many state institutions to be more open to public participation, accountable and transparent to the people (Tan, Pan, & Lim, 2005). According to Barnard, Cloete, and Patel (2003) the objectives and purpose of e-government are to ensure better service delivery to citizens, improved service for businesses, transparency, and anti-corruption, empowerment through the provision of information and efficient government procurement processes. E-government services adoption provides citizens a better avenue to make payments relating to utilities, taxes, fines, permits, registrations, and licenses to a government agency through an e-government services platform. The design and implementation of a citizen-centered e-government involve information and service needs assessment, technology needs assessment, information and technology literacy, Government literacy, usability and functionality, accessibility, meeting users’ expectations and understanding how citizens use e-government services (Bertot & Jaeger, 2008). Furthermore, e-government provides opportunity for citizens to enjoy free and enhanced dissemination of information, improves the access and delivery of government services, performance of government agencies as well as improving the democratic environment within a particular jurisdiction (E Abu-Shanab, 2013; Alshehri, Drew, Alhussain, & Alghamdi, 2012; Basu, 2004; Layne & Lee, 2001).